An Inflatable Pirate Sword including a silver and brown Inflatable Sword with skull print – Ideal for a Pirate theme, or any fancy dress occasion! Add the perfect finishing touch to your fancy dress look with this impressive Inflatable Pirate Sword. This Inflatable Pirate Sword comes complete including a silver and brown Inflatable Sword with skull print. 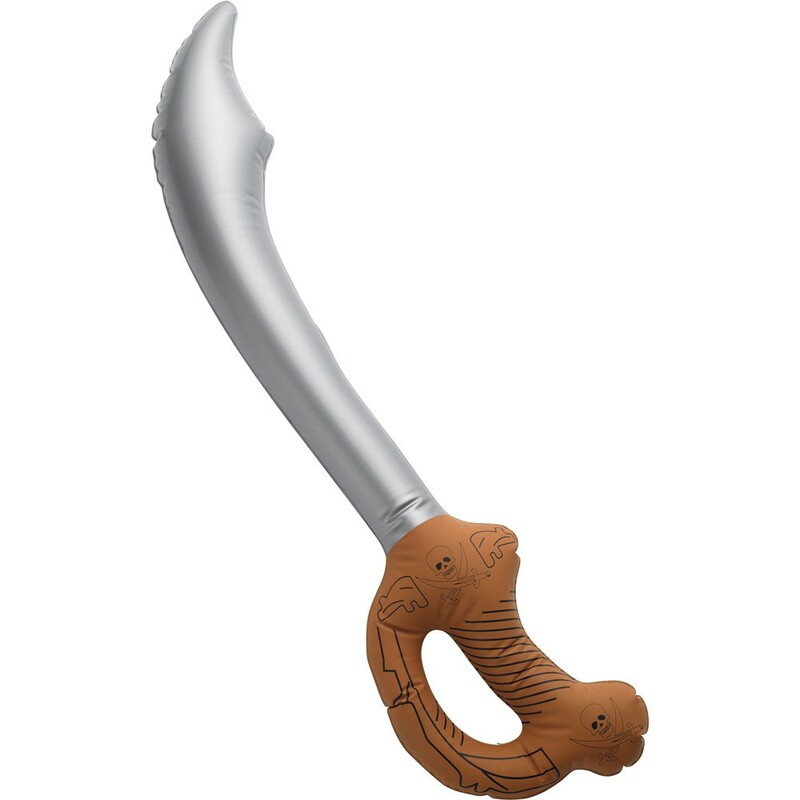 If you’re looking for the ultimate pirate fancy dress accessory, this inflatable silver and brown Sword will be sure to impress, with its skull print design on the brown handle section. Perfect for a Pirate theme, or any fancy dress occasion, this Inflatable Pirate Sword will be sure to make you stand out from the crowds! So prepare to set sail and sail the high seas with this Inflatable Pirate Sword.